We Have a Website Now! 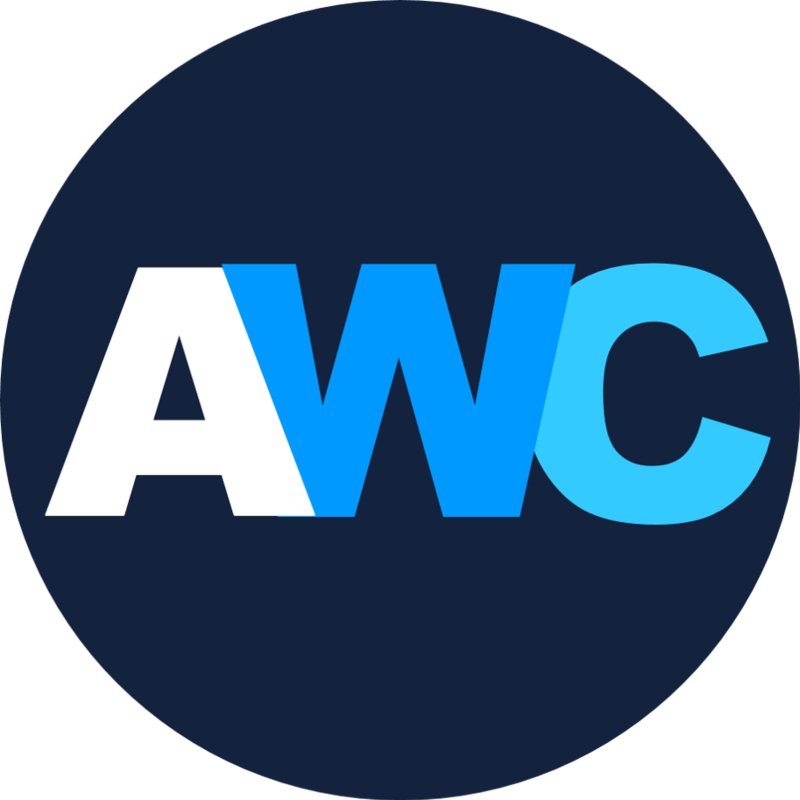 Check it out and bookmark it for a one stop location for all AWC challenges! Welcome to AniList’s unofficial Anime Watching Club. We are a club made to challenge you to watch even more anime and hopefully find some new gems you wouldn’t have watched before. We are a fan run club comprised of people just like you. We found AniList, fell in love with the community, and just wanted to do our part to make it even better. Be polite, friendly, and positive to others. We want to create a club that is fun and supportive. Harassment of any sort will not be tolerated. This includes: racism, sexism, and anti-lgbt+ rhetoric. If you are confused, see rule 1. Please be kind to our AWC Staff and Reviewers. Keep in mind all of our AWC Staff and Reviewers are volunteers. They do not get paid to do this and they are contributing to this club in their free time. Choose a challenge. We recommend starting with our Beginners Challenge. Post a comment in your chosen challenge with the challenge code we have provided. You can keep track of your progress through editing your submission as you go, or update it when you are finished. When you have finished the challenge, make sure your submission has been updated. Then, post a link to your final submission in the “Challenge Submissions” forum post. Post your shiny new badge to your profile to show you’ve completed the challenge! We are on Discord! Come join us on our Discord to share your ideas, recommend upcoming challenges, or just post your trash memes! Discord. Confused? Check out our Frequently Asked Questions. We cover everything from how to use the code to screenshots of where to find certain requirements within AL. Check to see if your question is answered here before asking an AWC Staff member, please! Have ideas / suggestion for the Anime Watching Club? Post them to the Challenge Suggestions forum. This can include ideas for new challenges, challenge requirements, rules, graphics for badges, upcoming events, or just general discussion about anything and everything related to the Anime Watching Club. 2019 Participation - Complete 6 Monthly Challenges on any difficulty. 2019 Easy - Complete all Monthly Challenges on any difficulty. Great. This looks like it'll be fun. Hello there. AWC is dedicated only in Anime watching challenge..rigth? How about Manga Reading Challenge? I like Challenges Style than AWC since AWC (obviously) focus only In Anime challenge instead of doing other challenges like Manga and Ligh Novel reading challenge..
We haven't put much thought in that yet, but we might do It in the future. As of right now we are very busy with the current challenge and creating future challenges as well as trying to establish a stable cummunty here on AL and on Discord. Thank you for reminding us on this matter, I'll make sure to put It on our roadmap. As for When or If It will happen I don't know. These things take time and it’s impressive how much they’ve gotten done already. Yea. And involve alot of work too . So I truly appreciate it. I just wish they made a manga reading challenge as well... Nevertheless its indeed impressive. An idea to help challenges. Have minimum episode length on most of the challenge entries. Beginner Challenge seemed fine not having it but I think 'harder' ones need some push back. We will. For the beginner's challenge we didn't want to put too many limitations as people learned the ropes on how the different requirements for the challenge would go. Future challenges will have minimum time, episode length, or something along those lines as the requirements necessitate. We will also be banning speed watching for future challenges as watching something at 3x speed goes against the spirit of the challenge which is to introduce you to anime you may not have watched otherwise. Thank you for the feedback! Is there an ideal place I can post challenge suggestions/ideas? I agree to this rule, as watching in 3x speed is too exaggerated and shouldn't be done, but how can you know if someone didn't break this rule? We can make an approximation of how long it takes to watch said anime lineup and see if that's viable at 1x speed within the time-frame between their entry post and final post. If someone told me, "you should totally watch this, it's amazing!" in the forums 2 months ago and I started watching it 3 days ago, is it eligible as an anime that was recommended to me by another user? I have a link to/screenshot of the conversation. As long as you have a screenshot. When will there be another challenge? Make sure this is posted in the comedy genre forum post. If you could delete this comment it would be greatly appreciate. Thanks! We are discussing allowing a legacy mode for past completed challenges. The badges would be have a different background than the current silver/gold motif we have for the monthly challenges and wouldn't have the vfx. This is still in the discussion phase as of right now, so nothing has been decided. We will probably do another poll soon to get more feedback. If we do move forward with this, we'll make an announcement. I like to do these challenges, but I just think it would be nice to have a different way to add anime to fulfill the requirements than to manually copy and paste over everything. Gets tedious if I need to list several anime I watched. If you have a better suggestion that still allows our reviewers the necessary information, we are all ears. Omit Date started and Date ended. Very hard to keep track of when previously watched shows were watched (esp. since those shows can still be used for easy). Maybe omit them for easy, but leave them for medium and hard - that's another way. Since link already includes show's title, no need to post show's title again separately. As a countermeasure (to make sure that people aren't just posting random show links, though I think challenges are mostly an honor system), in favor of short questions at the end of some challenge items like "name the school in the show" or "name the main character." People have to at least put a plausible answer. Start / Finish dates are needed as there is currently no way in AniList to know when an anime was watched simply by looking at someone's anime list (outside of the activity feed which would adda a large amount of time to review processes without having a reference date to go off of). For Easy start / finish dates, we tell people to do a best guess. Again, this is to show that the anime was previously completed, as we have no way of verifying this outside of given dates. However, it makes the post very long especially for those challenges with 40+ requirements. How you show links is all up to personal preference, we just need a link to the anime for review purposes. Having "proof of" questions does not help trim down the amount of information needed for a show and people will probably dislike this more than just putting a start / finish date. I know I couldn't name the school from Code Geass off the top of my head because it's been so long since I've seen it. Also, proof of questions can easily be googled which is how I would need to answer the example question above. I understand it takes some time to fill in the format, but in order to do reviews we do actually need the information we ask for. Without this information the review submission time would increase exponentially and no one wants the review time to be weeks / months long like it is in other challenge groups. IKRRRRRR like i didnt know there was a batch with that requirement! Same, esp. as Kimi No Nawa is one of my favorite anime. I know this is weeks later, but we're still considering different possibilities of a way we can allow people to go back and earn a monthly badge that they missed. This is especially helpful for this first end-of-year badge since this all started up rather recently and people are still just learning abou it. Have you found some way to do that or not at the moment? It's up to the AWC Leaders and our Challenge team, but the last idea I heard was to possibly have an additional challenge in December that would allow someone to go back and earn a monthly badge they missed. This would be in addition to the December monthly, so it wouldn't be a freebie, but it would allow people a chance to get something they might have missed while also upholding the integrity of having monthly challenges. Keep in mind that was all in idea format and all conversation regarding it has taken a backseat to getting our new batch of genre challenges out, which just dropped today. So that could end up being what we go with, or it could be something completely different. Yo! I was just wondering, have you submitted your September list here ? Mods will usually send you a message once they're done revieeing hour submitted list. Also, please stop sending DMs to AWC Staff members to look at your submission. All submissions are reviewed in the order they are received in the submission forum post. It is unfair to everyone else if we jump the line. hmm sorry i didn't mean to trouble you guys but i didn't really know where to send it to when they didn't check my reply. I just understood that its checked by order. My bad i got abit worried about the badge and thought i wont be taking it haha. One suggestion (and shouldn't be too hard): For the challenges, could you please identify which characters are supposedly depicted on the badges in a short text description below the badge pictures? Some of the characters I know because I've seen their show, but others I don't know. Naming the characters depicted could also give ideas for shows to start watching to begin or continue the challenge. All the forums have been updated with the characters listed. Thanks for the suggestion! No, we haven't considered making a patreon. By just doing the challenges and giving positive feedback makes us really happy, Thank you! Remember, we are unofficial and are doing all of this in our free time. Again, thank you very much! Just so u know u still need to update this from the October Challenge link to the November one. You guys will make others genre or tags challenges? Yes, we have both extra genre and tag challenges currently in the roadmap. when the drama/sport/adventure/mecha comes? i know is this month but what day?